This email was sent to the editor by Tim Hatfield, aka Leroy, by way of Joe Distler on what would have been Ernest Hemingway’s 117th birthday. 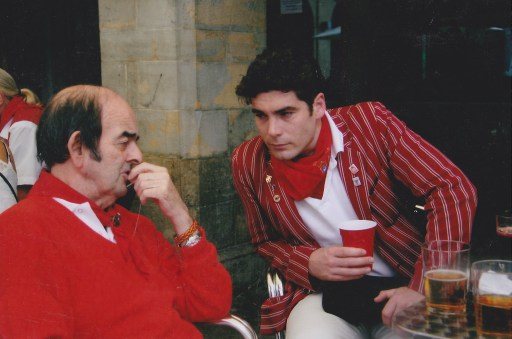 While he writes about his recent experiences on the smaller bull-runs of Old Castille on his personal blog – http://www.fiskeharrison.com – I have been told to get this up ASAP. Sorry for any errors in the edit. 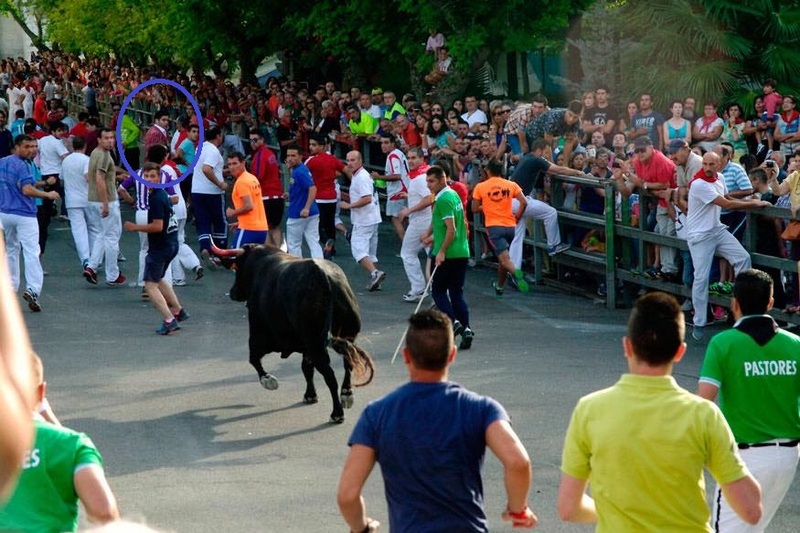 Joe……..please pass this along to Alexander (I don’t have his email address) and anyone else you think would be interested in seeing it………..and thank you for the photo of my last encierro and for sharing the run with me. While there The Editor – me – became involved in setting up a course of classes applying the (so-called) ‘Method’ acting techniques I learned at the Stella Adler Conservatory in New York to writing – see here. I’ll write more about Paris and what I was doing there over at ‘The Last Arena’ shortly, but what I wanted to put here was something that came up in my research about the late 1950s, when a crowd of Americans coalesced on the Left Bank of the River Seine. Mainly veterans of World War II who had come out to ‘study’ on the G. I. 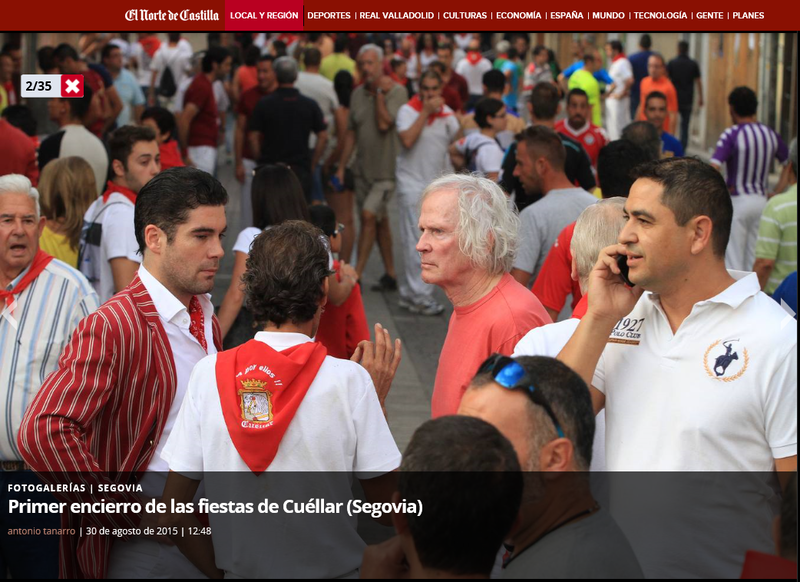 Bill, they visited Pamplona after the Franco-Spanish border reopened in ’48, and in doing this mirrored a previous generation of veterans of World War I that included Ernest Hemingway and the characters of his 1926 novel The Sun Also Rises. 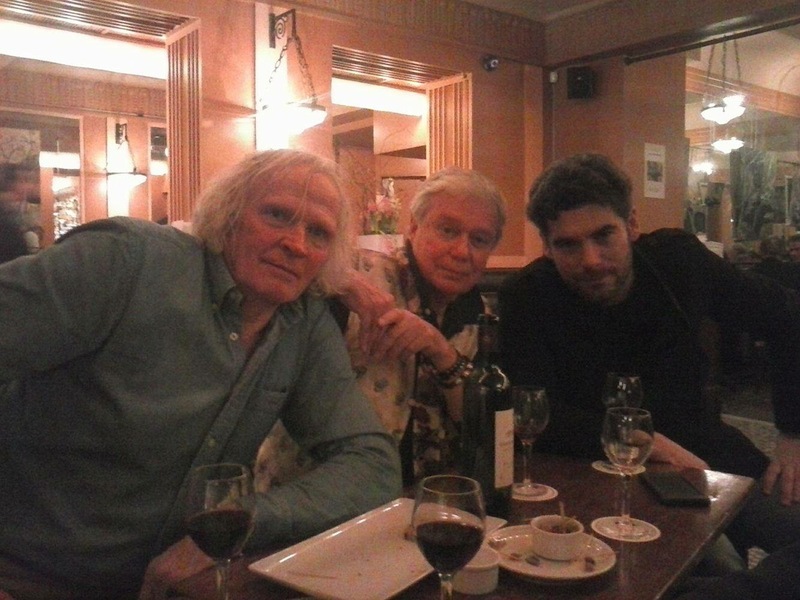 The group included former U.S. Marines Art Buchwald and Matt Carney and the Canadian known as ‘Big’ Dave Pierce who sadly passed away in Paris within days of my reading about him in the article below. 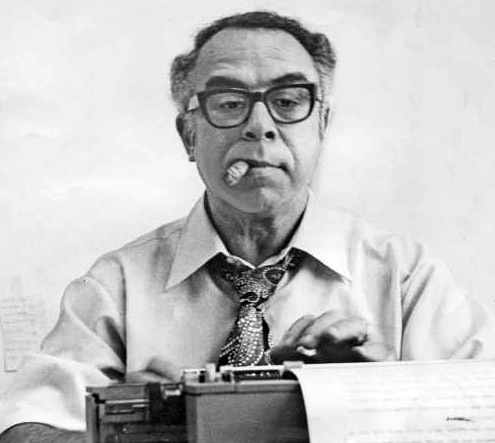 Both Pierce and Carney feature in the piece, by Buchwald, coming from his days writing the ‘Paris Nights’ column for The New York Herald Tribune which went on to become the most syndicated column in history. I particularly like the fact that my own father, Clive, would have been selling this edition of The Trib in Le Select when it was first published in July ’58. They were the Great Pamplonians, “the same became mighty men which were of old, men of renown” as the good book has it. 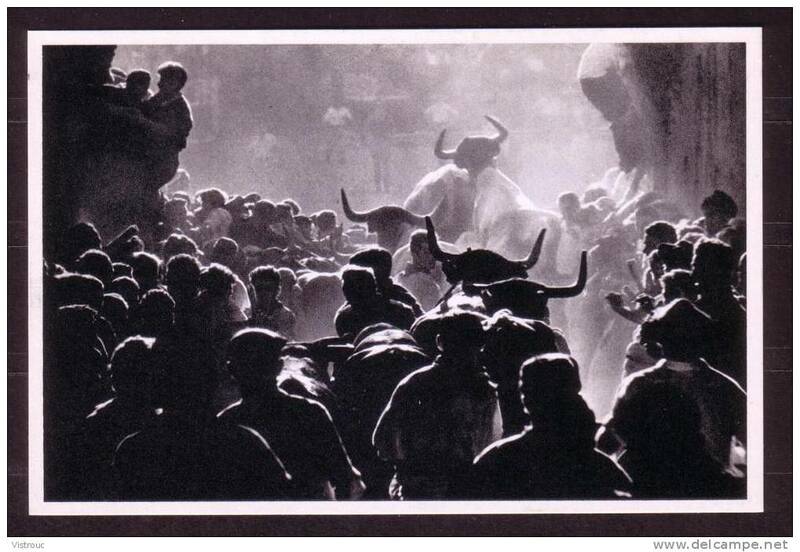 The most important event during the Fiesta of San Fermin is El Encierro, the running of the bulls through the streets of Pamplona at seven o’clock in the morning. This traditional fertility rite is considered to be one of the most dangerous methods of proving one’s manhood. Those who have rode the cresta at St. Mortiz, driven in the 24-hour race at Le Mans, and hunted lion in Africa shudder when Encierro is mentioned. 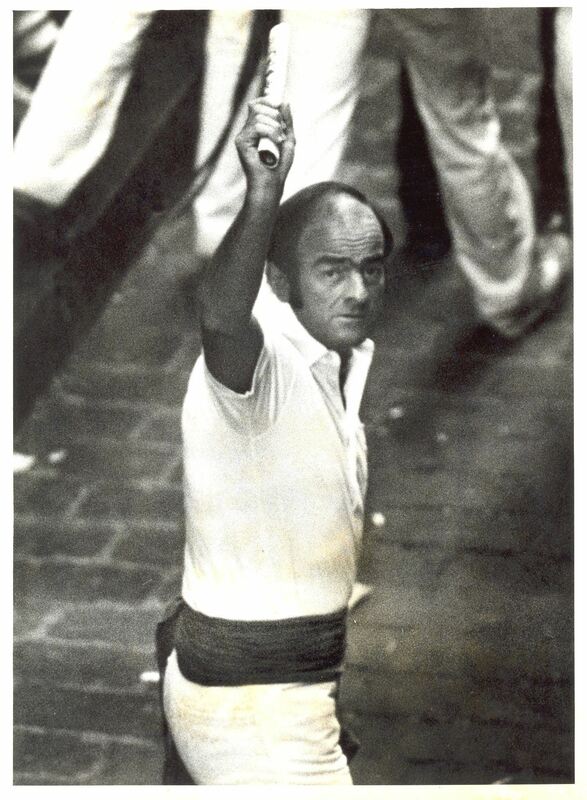 The official program on El Encierro states and we quote, “This masculine and emotional act, full of showiness and braveness, consists in driving the bulls to the ring, the same bulls which are to be fighted [sic.] in the afternoon. 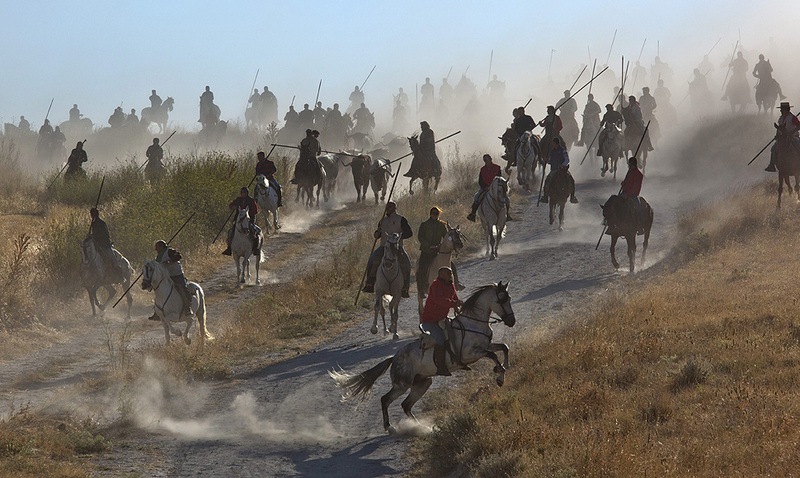 They pass at great speed at a mad race, full of risk and danger, through the old streets of the city, filled with valiant boys [mozos] who try to avoid the horns and hooves of the murderous animals. We couldn’t believe Mr. Hagerty would say this, but there was no way of checking it, and it was a challenge which couldn’t be ignored. We promised we would run the following morning. The best way to prepare for the Encierro is to sit at a sidewalk cafe starting at midnight and drink cognac and wine until morning. If you miss one round of drinks you’re liable to lose your nerve. The students sat up with us to keep us company and to give us what few hints they could. We were fortunate to be introduced to Dave Pierce, a six foot three Canadian, who ran package tours for new encierro runners. For 50 pesetas Mr. Pierce would coach you, light a candle for you, and if anything happened he would let us use his Blue Cross card. A group of about eight of us sat up all night. Every half hour Pierce would massage our legs and arms. Matt Carney, another runner shared his bota (wine skin) with us. Bottles of cognac kept being emptied as the group spun tales of other bull runnings, gorings, and tramplings. As dawn approached it became obvious, from the conversation, that no one had ever survived an encierro. 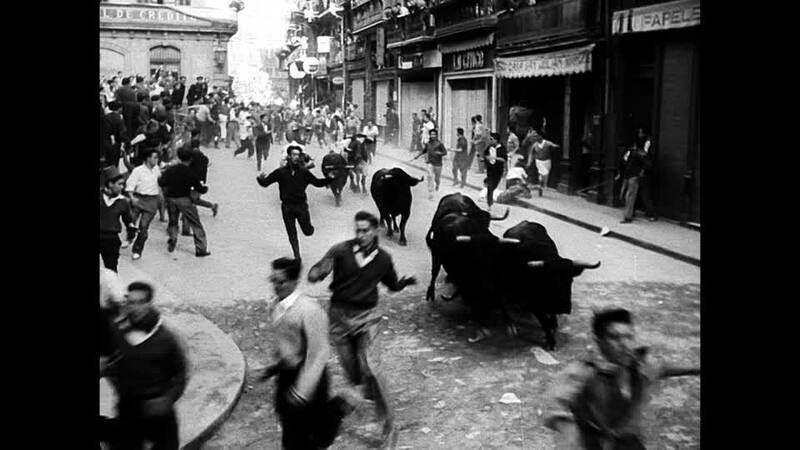 The church clock struck six, and bands stated coming out on the streets playing weird music that calls the men of Pamplona out into the streets to run. The streets were jammed with people going to the bull ring to see the carnage. other people lined up by the barricades along the route the runners and bulls would take. It was our fifty pesetas so he couldn’t very well argue. We gave him the ten pesetas. At 6:45 a.m. they carried us to the starting point in front of the town hall. We immediately recognized the cowards as they the ones nearest the start and most of them were retching. There was nothing else to do so we stood and retched with them. Ten minutes before seven all the cowards pushed through police lines that were supposed to keep the runners from taking added starts. 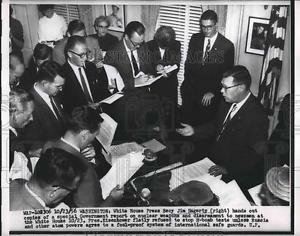 We decided we entitled to a handicap – fifty yards for being married, fifty yards for each child (three), 300 yards for being an American, and 75 yards for being a journalist. At exactly seven the first rocket went off and we started to sprint. Pierce was supposed to pace, but he couldn’t keep up with us. 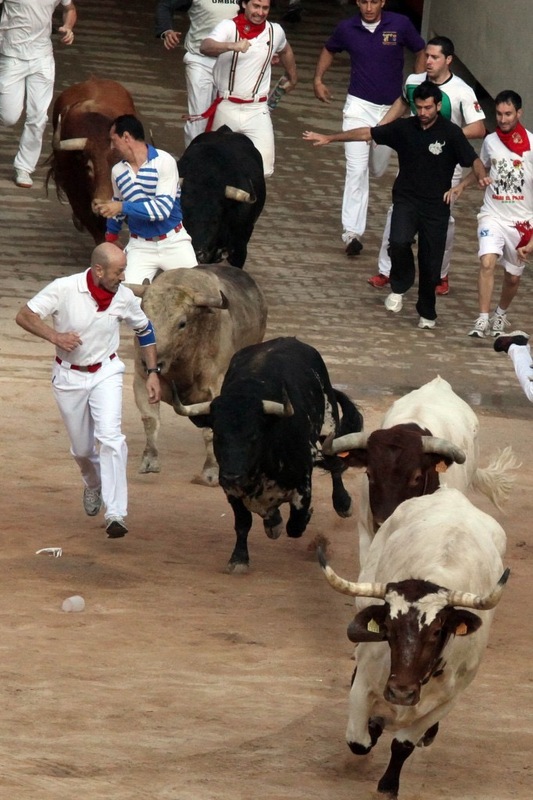 The second rocket went off and somewhere behind us we knew the bulls had started to run. The crowds in the apartment houses cheered and the ones behind the barricades screamed. “Faster,” shouted Pierce, “faster.” And off in the distance the steady sounds of hoofs could be heard. “Could Hagerty have really said we were chicken?” we asked ourselves. But it was no time for daydreaming. The last hundred yards is the hardest. 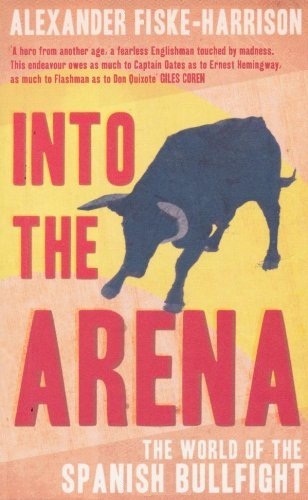 You must run through the tunnel into the bull fight ring and there is always a jam-up at the tunnel where you to fight your way through. Pierce lifted us over the jam and with 20 seconds to spare we were in the ring where 15,000 people were waiting to cheer. 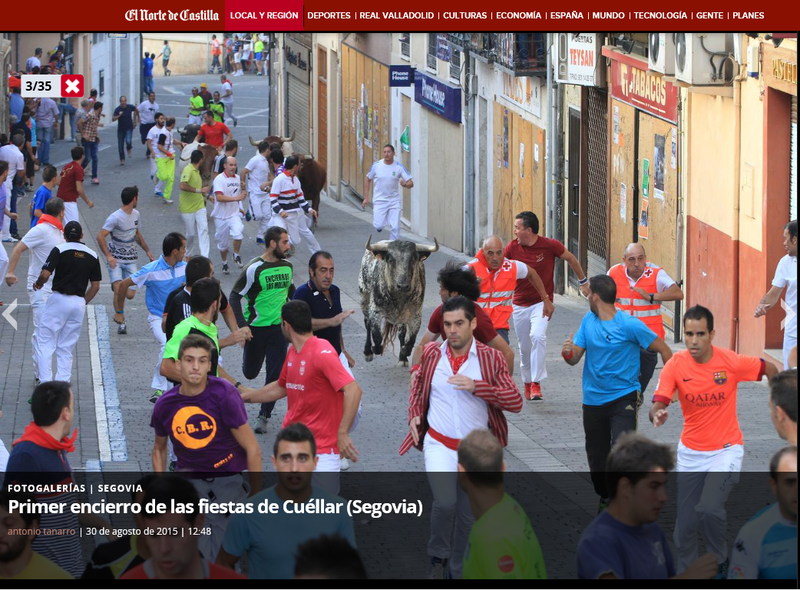 The bulls rushed by and the Encierro was over. We joined the cowards by a barrera and we all began retching again. 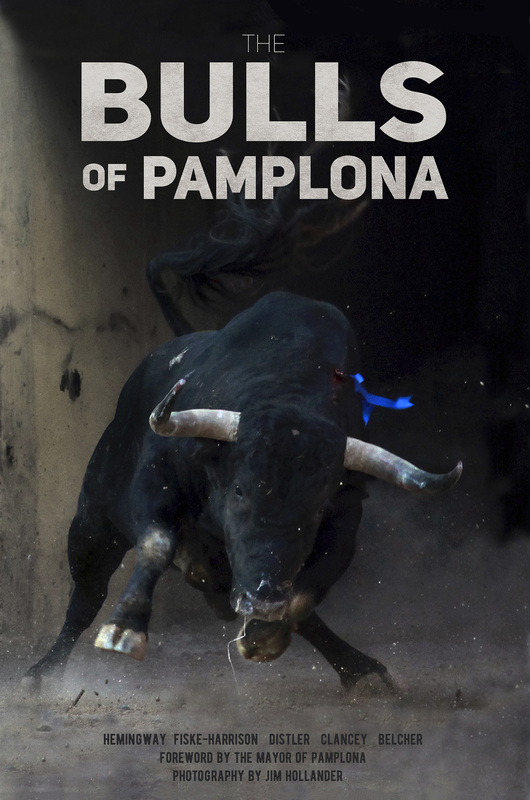 We can’t deny there is a sense of achievement, a feeling of accomplishment for having run with the bulls and we would probably be hard to live with now except for the fact there was a long editorial in the “El Encierro”, a bullfight newspaper the next morning. 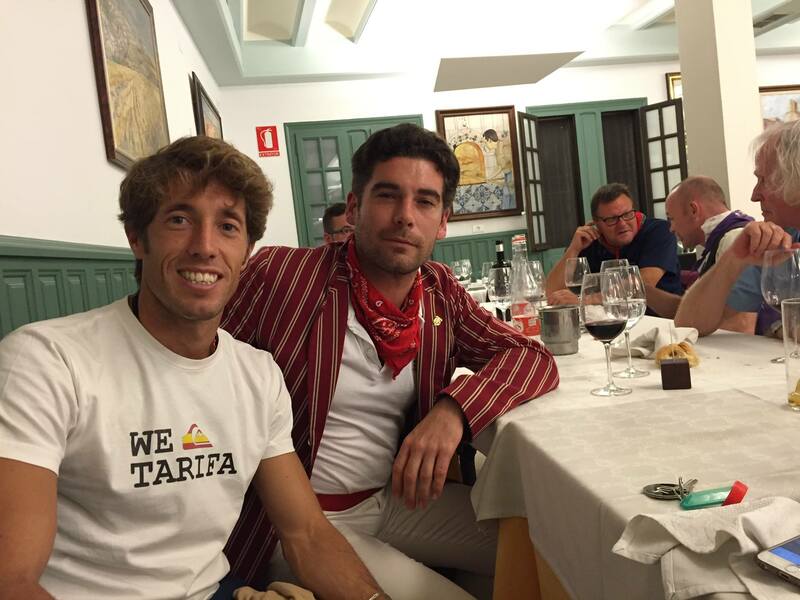 It said “The Encierro is degenerating into something without taste of appreciation. “It is lacking in purity and it is a disgrace to the mothers and daughter and fiancees who have come to believe in this deep Navarre spectacle. If it is to be kept pure a board must be set up and only cultivated spirits should be allowed to run. The whole editorial sounded to us like a lot of bull.